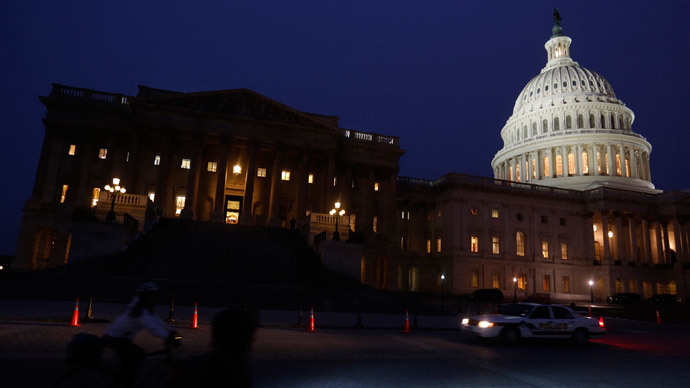 The FBI has arrested an Ohio man for allegedly planning to detonate a series of bombs aimed at lawmakers and public officials in Washington, DC, according to an ABC News report. The plan was reportedly inspired by the Islamic State. Little is currently known about Christopher Lee Cornell, who also goes by the name Raheel Mahrus Ubaydah, but officials told ABC that he viewed American lawmakers as enemies. He has been charged with attempting to kill a US public official. Specifically, Cornell is accused of planning an assault on the US Capitol that included setting off pipe bombs and using firearms to shoot officials and others after those explosives were detonated. Prior to his arrest, 20-year-old Cornell was allegedly taking the “final steps” in his plan – setting up travel arrangements to DC, buying two semi-automatic weapons and 600 rounds of ammunition. Court documents also stated that he made contact with an FBI informant, meeting twice in person last year. During these meetings, Cornell told the informant of his intention to attack the Capitol. The same informant originally told the FBI about Cornell after noticing posts on Twitter expressing support for the Islamic State (also known as ISIS/ISIL). Cornell also allegedly posted similar thoughts on message boards. “I believe that we should just wage jihad under our own orders and plan attacks and everything,” Cornell allegedly wrote online, the FBI said. “I believe we should meet up and make our own group in alliance with the Islamic State here and plan operations ourselves." Following Cornell’s arrest, the FBI and Department of Homeland Security alerted law enforcement about the case. "The alleged activities of Cornell highlight the continued interest of US-based violent extremists to support designated foreign terrorist organizations overseas, such as ISIL, by committing terrorist acts in the United States," the notification reads. "Terrorist group members and supporters will almost certainly continue to use social media platforms to disseminate English language violent extremist messages."